PowerPerks Thrive is a step-by step guided makeover of your diet, health, and how you think about what you put in your body. Whether you are a breast cancer thriver, have a personal or family history of breast cancer, or you are focusing on losing weight to minimize the risk for you and your family, PowerPerks Thrive is designed for you. It’s never too early or too late to join the PowerPerks movement! Available 24/7, this easy-to-follow, online program draws on Rachel Beller’s years of experience working in breast cancer research and counseling. She has guided thousands of women from all walks of life, who desire an effective weight loss plan coupled with breast cancer prevention strategies. A Lifetime Membership for Only $59.99! You want to reduce your risk of breast cancer. You’re a thriver who needs to lose weight — or maintain a healthy weight — to prevent recurrence. You’re a thriver whose medications are throwing off your weight. You need more energy, improved gut health, and decreased inflammation. You want meal plans that are nutritious AND delicious AND based on facts (no fads or fasting). You’re ready to lose weight and crush cravings forever. Since you eliminated the junk in Phase 1 (including processed food and excess sugars), you’re on track toward your goal. So in Phase 2, you get more food flexibility and protein options. Although designed for 10 days, this phase can be extended if you have higher weight loss goals. You Got it. For Now. For Life. Discover how to maintain your new healthy weight without deprivation or hunger. In this lifelong phase, you get to add additional fruit, complex carbs, and high-starch veg at lunch and dinner. You can move back into Phase 1 or 2 any time you need a weight loss reboot. We recommend that everyone try to follow a vegan plan for the first 10 days (think of it as an optional “test drive” to reduce your intake of hormones and other compounds in meat that research indicates may contribute to breast cancer development or it’s recurrence). After that, based on the plan you purchased (vegan, pesco-veg or omnivore) you can modify and include a selective and minimal amount of animal based proteins from day one and still reap the cancer preventive and weight loss benefits. This can be irritant for many women and may lead to unpleasant digestive side effects and inflammation. There is some contradictory research and unknown risks about the connections between breast cancer, dairy and the hormone content in dairy products (including organic). Women – particularly those with a personal or family history of breast cancer – should reduce their dietary intake of hormones. For those reasons, PowerPerks is dairy-free. For those who choose to include dairy, we recommend that they only have organic kefir/yogurt due to its lower content of IGF-1. 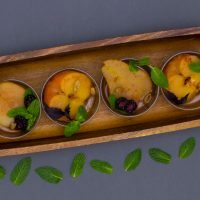 Research suggests that being mindful of the quantity and quality of the fat you eat is essential for optimal breast health and prevention of recurrence. On PowerPerks Thrive we prioritize which fats should be front and center in your power pantry. We emphasize those containing anti-inflammatory omega-3 fatty acids which are shown to help prevent certain cancers, cardiovascular disease, rheumatoid arthritis, and cognitive disorders. On PowerPerks Thrive, we eliminate the added sugars and the white/refined carbs (they are basically sugar), and ask you to fuel yourself with natural whole foods like fruits, veg, whole grains, and legumes. Over time you’ll stop craving the refined foods and start thriving on the real deal. If you find that you do need a touch of sweetness, you can sparingly try some of these options: dates, raw honey, pure grade A maple syrup. No, we won’t be selling you a line up of supplements, rather, we’ll be loading you up on unique healing spice combinations, herbs and lots of power foods to amp up the nutri-power of your meals, snacks and beverages. Some spices and foods work far better together, synergistically boosting their health benefits — think of them as the ultimate power couples! PowerPerks Thrive includes surprising absorption boosters and spice and power food synergy concepts. “Food First” is our mantra! Wish we could tell you otherwise, but research tells us that it’s best to avoid if you have a personal or family history of breast cancer. Otherwise, limit to 1 – 3 drinks per week, but keep in mind: the calories stack up. How you start your day can make all the difference in weight loss, cancer prevention, and simply how you feel. 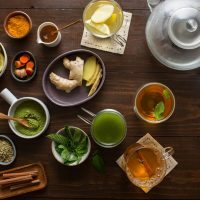 Your AM Riser beverage can include any of these invigorating and cancer-fighting ingredients: turmeric, ginger, mint, parsley, lemon, or even a Ceylon cinnamon stick. 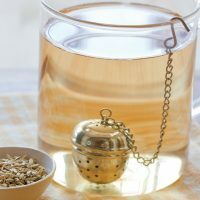 By steeping these roots and herbs in warm water, their anti-inflammatory properties may help calm your digestive tract and prevent indigestion, while also possibly lowering your risk of cancer and other inflammatory related health conditions. 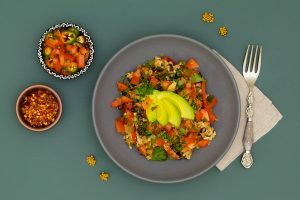 The PowerPerks Solution: EVERY breakfast you will be eating will contain AT LEAST 8 grams of natural whole food based fiber (not the manufactured kinds). 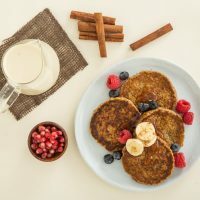 After years of reviewing thousands of diet histories both in the research, private and clinical practice setting, I have discovered that in order to realistically help my clients meet their daily fiber goals without having to over-think it, it’s essential to front load at least 8 grams in the AM (people obsess over protein when in reality fiber is king!). That’s why all the breakfast recipes in the plan contain at least 8 grams of fiber. In order to help you learn long-term portion control — every breakfast on the plan is 350 calories or less and consists of real and wholesome clean ingredients. I did all the work for you and all you need to do is choose your menu options and follow my lead. Bonus: Every breakfast includes suggested Power Up foods (healing powerfoods) to elevate both the flavor and cancer fighting potential. 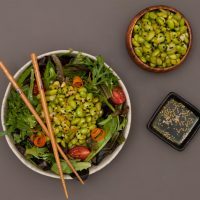 It’s all about satiety and nutrient diversification: Feeling full is key for weight loss, and eating a variety of cancer fighting nutrients is key for cancer prevention. My No Brainer Meal Planning Method provides both while making lunches and dinners easy — even when you’re dining out. 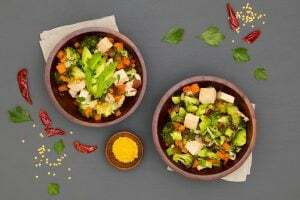 Vegan Members: Phase 1 and beyond will include my vegan meal building guidelines and slowly incorporate a wider variety of vegan protein combos as they progress with the program. 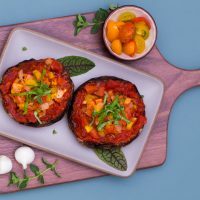 Pesco-Veg & Omnivore Members: Phase 1 (the first 10 days) of the program is based on vegan proteins, because research shows that a plant-based diet is best for preventing breast cancer and is very effective for weight loss as well (not to mention a variety of other health benefits). This 10 day phase gives you an opportunity to test drive how easy, satisfying, and delicious eating a plant based diet can be. My hope is that you will feel encouraged about integrating some of these plant proteins into your lifestyle for the long run (my intention is not to convert you into a vegan). If you don’t wish to explore eating vegan proteins for the first 10 days (Phase 1) —skip it and start your journey at Phase 2 (day 11) and treat it as if it were day 1. Continue this phase until you reach your goal weight. No sweat! 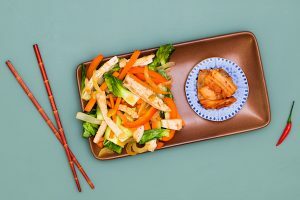 For example, if you purchased the Pesco-Veg plan, and you don’t wish to be vegan for the first 10 days— you can go ahead and introduce low-mercury fish, organic eggs from day 1. We have tons of options, recipes, and specific guidelines so you can easily know how to select the best of the best. Easy! From my years of practice I have learned to adapt to people’s preference, while at the same time upping their cancer fighting and weight loss game plans. No matter what plan you purchase — you will be on your way to feeling the powerful perks of eating this way! Yes, it’s true: to lose weight, you must snack! (Think of “PM” as standing for “Positively Mandatory.”) To keep you from going hungry in that long stretch between lunch and dinner — and then either reaching for processed food or overeating later — every phase of PowerPerks includes a PM snack that consists of clean ingredients to help reduce inflammation and make your body work harder to burn more calories (think of it as an internal workout). 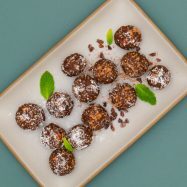 To help guide you for the long run on how to independently portion control your snacks—I designed each of our snacks to contains about 175 calories or less (it’s a snack, not a meal). PowerPerks has tons of snack suggestions and mix and match options at your fingertips. Stick with my No Brainer Meal Planning Strategy and dinner will be a cinch, whether you’re dining in or out. And remember that variety is key for nutrition and satisfaction, so if you had a salad for lunch, try roasted veggies or a veg soup with a protein and a fat for dinner. And as before, boost your meal’s flavor and nutrient profile with my go-to Power Up boosters. If you’re like me, you need some soothing to end your day. The PM Relaxer delivers all the benefits of the AM Riser plus the de-bloating effect of fennel and the relaxation of chamomile to combat digestive stress. Sweet dreams! Flexi-Snack: You can slot in an additional snack of 175 calories and clean ingredients IF you need it during the day. For example, many of us need a pre-workout burst of energy or a post-dinner nibble to get through the evening. There are a ton of options! Ready to Put These Power Tips Into Play? What’s the Connection Between Weight Gain & Breast Cancer? Separating cancer fighting nutrition and weight loss is a big mistake — and this is a concept that people just don’t get. Loving your body means keeping it free from illness. And whether you’re a teen or a boomer, science shows that body fat is undeniably linked to breast cancer*. Maintaining a healthy body weight is the single most important way you can actively reduce your risk of cancer. Research has shown that excess body fat leads to an increase in inflammation, estrogen production, and insulin levels in the body—which have all been linked to cancer. 64% of American women are overweight & 36% of those are considered obese! Obesity can lead to heart disease, stroke, type 2 diabetes, and—our focus—breast cancer. According to AICR (American Institute of Cancer Research), breast cancer mortality is 35% higher among obese women than normal-weight women. Weight gain after age 18 to between the ages of 50 and 60 has been consistently associated with an increased risk of breast cancer after menopause. If you’re overweight or obese post-menopause, there is a 30 – 60% greater risk of being diagnosed with breast cancer. The Women’s Health Initiative collected data from over 70,000 women over a period of decades. They found that the longer women were overweight or obese in their lifetime, the greater their risk of post-menopausal breast cancer. For every 10 years of being overweight, the risk goes up by 5 – 8%! A Nurse’s Health Study followed nearly 90,000 women for 26 years. They discovered that a loss of just 4-11 pounds post-menopause lowered their breast cancer risk by 20% compared to no weight loss at all! There is a TON of research to support the notion that separating cancer fighting nutrition from weight loss is a BIG MISTAKE. The earlier you’re aware of the connection and the sooner you take action, the better — it’s never too late to decrease your risk! The key is to have a realistic game plan and that’s why Rachel created PowerPerks. If you’re going through treatment or know someone who is, Rachel recommends starting PowerPerks Rx first.